Indian is back. 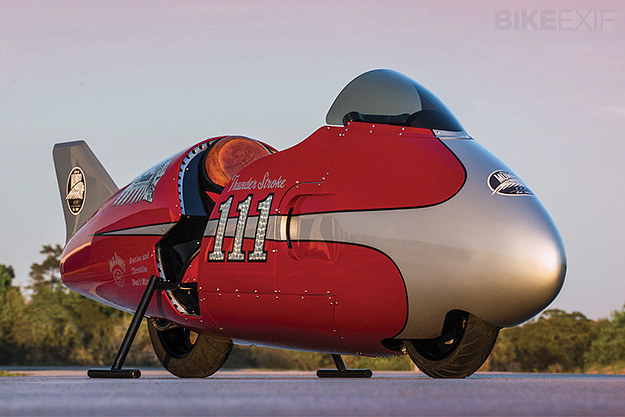 America’s oldest motorcycle company, founded in 1901, has revealed a show-stopping streamliner to showcase a brand new engine—the 1811cc Thunder Stroke 111. 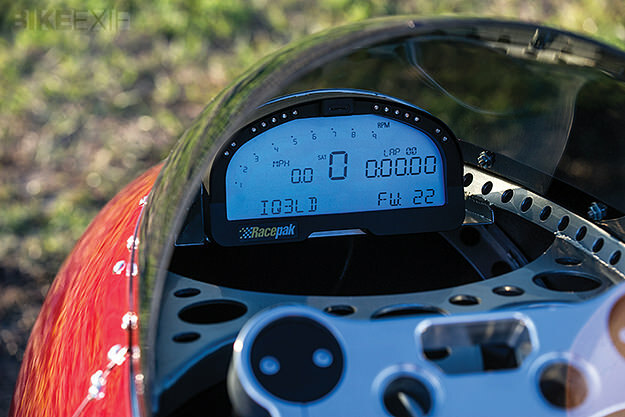 The motor will find its way into the 2014 Indian road bikes, the first to be released under the stewardship of parent company Polaris Industries. 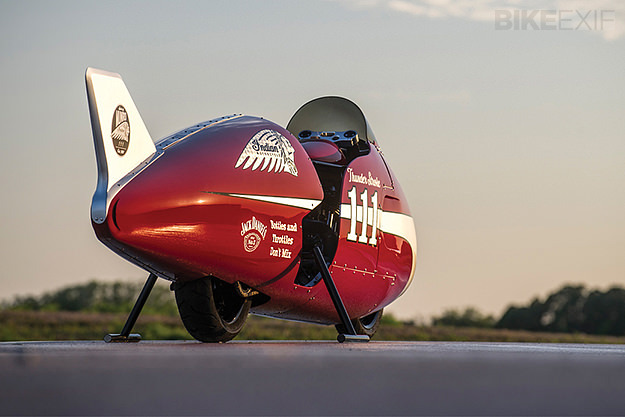 The ‘Spirit of Munro’ is a runner, not a display bike. 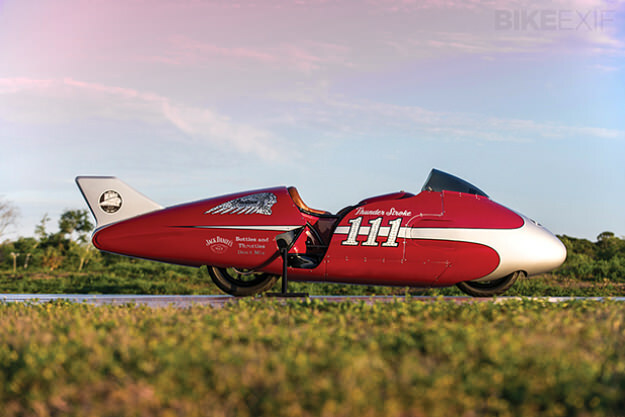 It was built with the help of Jeb Scolman of Jeb’s Metal and Speed in Long Beach, California. 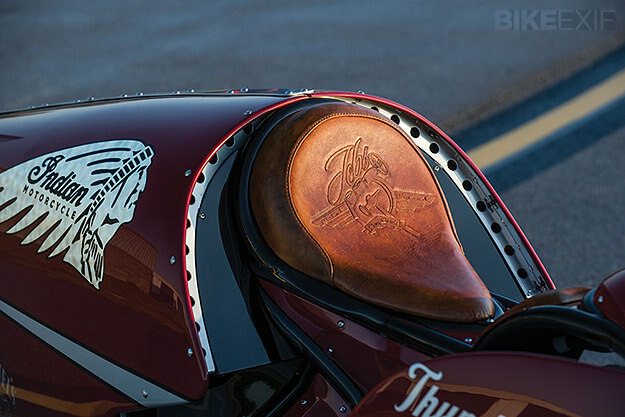 The hand-formed aluminum bodywork was fabricated using a mix of aircraft-inspired techniques and traditional custom motorcycle metalworking. Underneath is a bespoke chassis designed to handle high-speed runs. The gearing is tall and chain-driven, and the pre-production Thunder Stroke 111 engine is hooked up to custom intake and exhaust systems designed to extract maximum power. 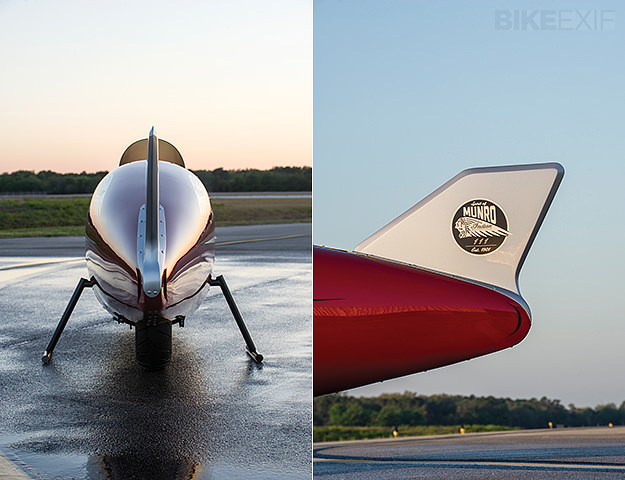 Of course, any motorcycle manufacturer can build a custom to promote its showroom bikes. But the ‘Spirit of Munro’ is an unexpected show of creativity and style. It’s a clever mix of heritage and modern technology that will hopefully be encapsulated in the production bikes. 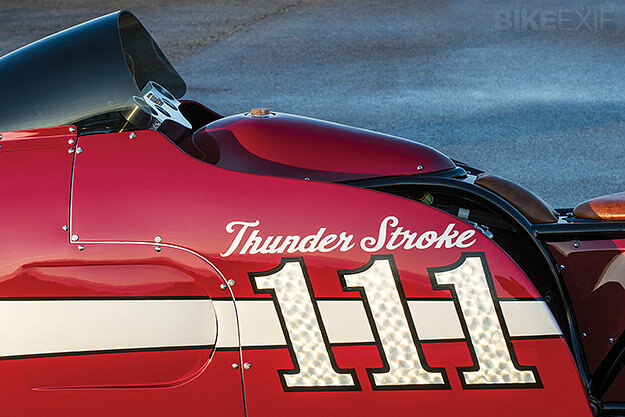 And the Thunder Stroke 111 engine doesn’t look too bad either. Head over to the Indian Motorcycle website for company news and follow Indian Motorcycle on Facebook here.